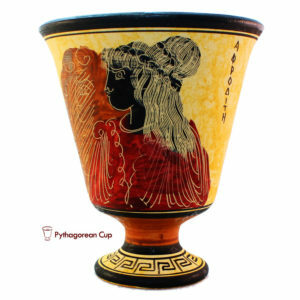 Pythagorean cup, also known as the Pythagorean Glass. 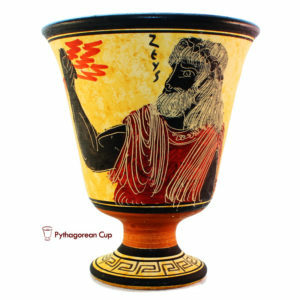 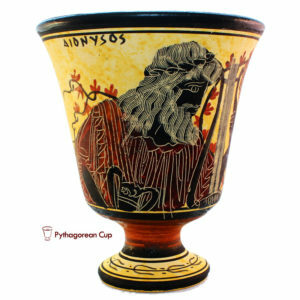 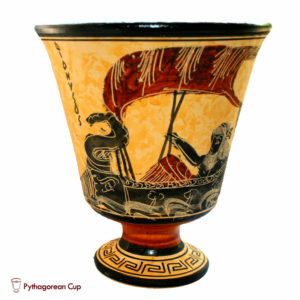 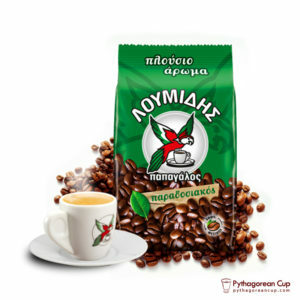 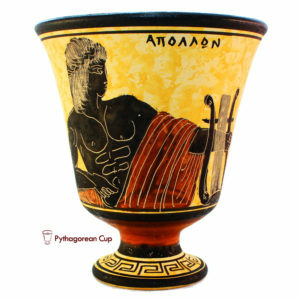 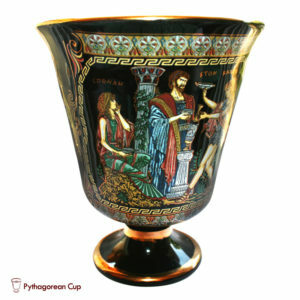 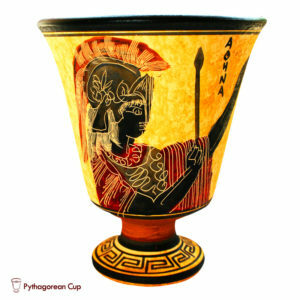 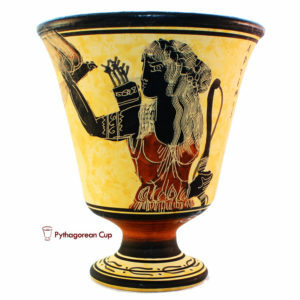 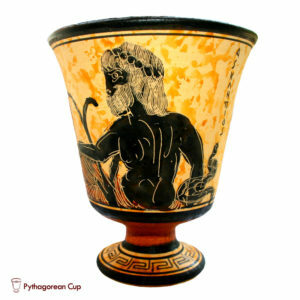 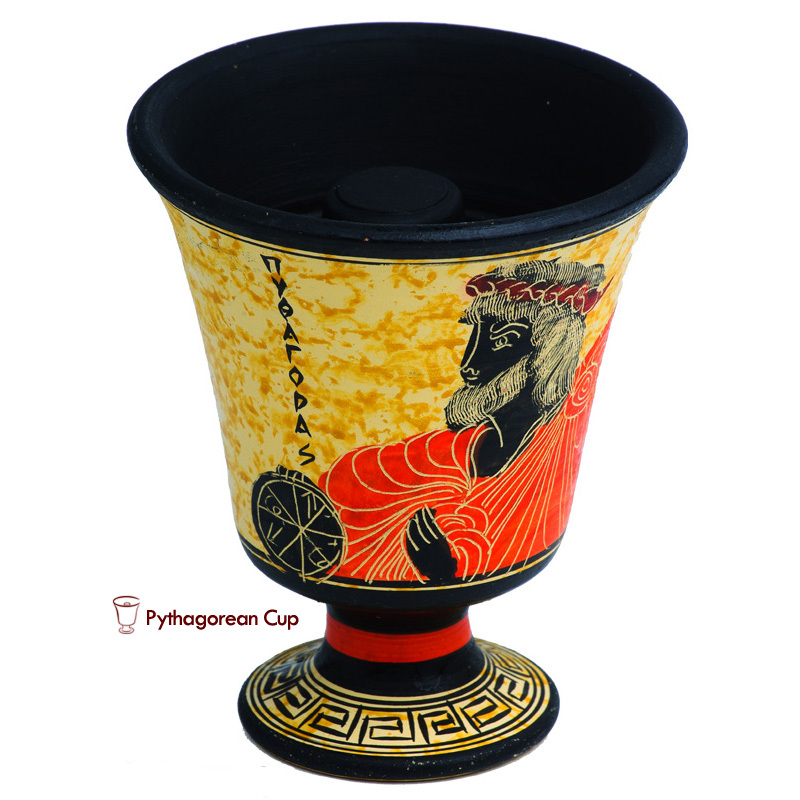 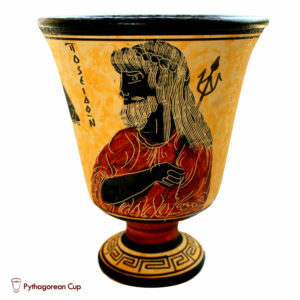 The Pythagorean cup is a form of drinking cup, which is a deep sense of control measures a drink. 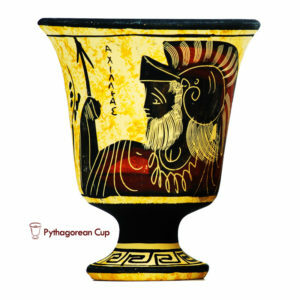 Creating a bowl ranked among the discoveries of Pythagoras of Samos. 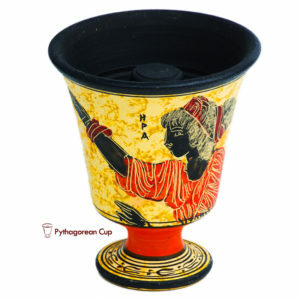 The uniqueness of the bowl of Pythagoras in a fairly simple principle that works as a mechanism of the valve, filling the cup up to a certain level, you can drink its contents as a regular cup but that’s as soon as we overfill the liquid over the mark level of the cup all of its contents follows through a hole located at bottom of the bowl.